Flying there-under, under the sea! Filmed in South Florida and the Bahamas, Flipper is the story of Coral Key Park Ranger Porter Ricks (Brian Kelly), a widower, and his two sons, Sandy (Luke Halpin) and Bud (Tommy Norden). 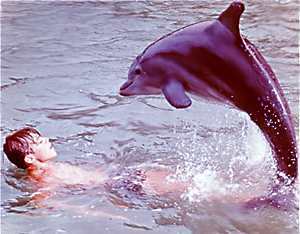 The underwater photography was dazzling as was Flipper’s extraordinary feats in capturing bad guys. 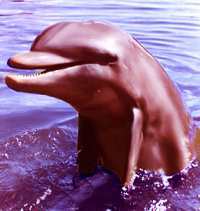 Although in the story he was a male dolphin, in fact, Flipper was a girl named Susie! The series was remade for syndication in 1995 and spawned several movies. Andy Devine died in 1999 of leukemia. Brian Kelly died in February of 2005 of pneumonia. Brian Kelly’s career was cut short when in 1969, Kelly was injured when a borrowed motorcycle exploded. He was left with a paralyzed right arm and leg and speech problems.A personal note. Jack Cowden was one of the creators and writers of this story. He lived in Fort Lauderdale with his family, which included my friend, daughter Lynn.